David Archuleta is about to leave on his two-year mission for The Church of Jesus Christ of Latter-day Saints, but even as his remaining time at home ticks away, he manages to share updates on his life with his fans. The Hollywood Reporter has an article about Archuleta's latest update: a video in which he announces an impending haircut. "Just about to go get my hair cut for my mission," Archuleta says in the video. "This is the last time it'll be this long for the next couple of years." Archuleta has also been spending a lot of time with his family lately. An article on BSCkids.com discusses his March 19 YouTube vlog, in which he introduces his sisters, Amber and Jazzy. 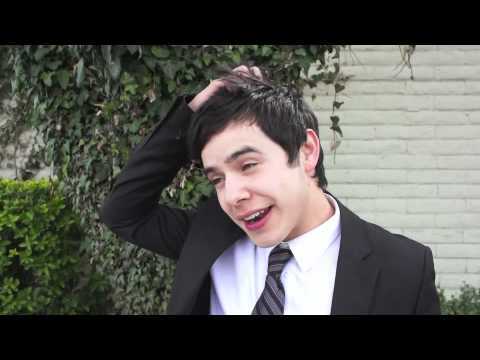 I'm gonna miss them when I leave," Archuleta says in the video.